faGuitarAlign will radically reduce your workload when recording electric guitars, basses and basically everything with strings attached to it! Its revolutionary X/Y Pad lets you quickly find the right sweet spot between the correct phase and the mix of your different tracks resulting in a perfect blend of both! And to make this task even more smoothly it also has an automatic alignment feature which accurately finds the right phase offset for you! With this reliable tool you’ll be able to save a huge amount of your valuable recording and mixing time you can now spend with exciting tasks! 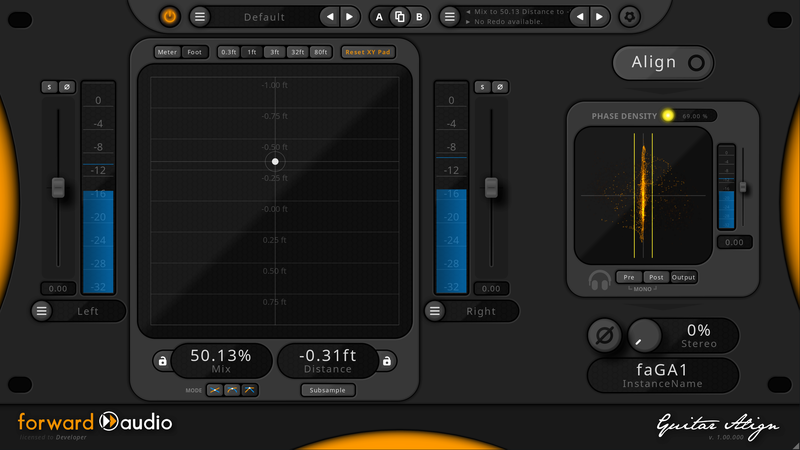 And you’ll be able to quickly achieve a coherence and depth in your mix you may never experienced before! Either if you want to make your phase alignment by ear or automatically, the integrated Phase Density Scope gives you reliable visual feedback in every possible situation. This exciting concept is derived from a Vectorscope, which you would use in a stereo tool, and carefully optimized and enhanced for phase alignment purposes. faGuitarAlign is carefully optimized for every kind of recording involving one sound source and multiple microphones and / or DI tracks. 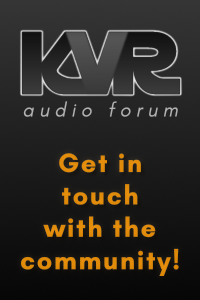 We have a lot of people using it creatively for recordings with fiddle, cello, double bass, piano or even choir tracks. It’s creative design will inspire you to go beyond the known possibilities of any other alignment tool. The plugin is designed to be used on a stereo bus with the source tracks routed and panned correctly to it or optionally routed through the side-chain input. It’ll then phase align and blend both together and output it either in mono (standard) or with a stereo width of your choice. You can even enhance the original stereo width up to 200% to get a wider image of the instrument. Full Unicode support for Western languages, Japanese, Chinese, Korean etc. The Plug-in is designed to be used as a stereo Plug-in on a stereo bus (Aux) only. The two mono input tracks can be routed to this stereo bus and should be panned hard left (Input 1) and hard right (Input 2). Alternatively it’s also possible to route one input through the Plug-ins Sidechain. The Plug-in itself is only suitable for blending two inputs. It’s also possible to cascade this sort of routing you’ ve seen above to blend several tracks together. In order to do that you would add a new stereo bus, insert another instance of faGuitarAlign and assign the output of the first faGuitarAlign left panned to the new bus and assign the third input right panned to it. 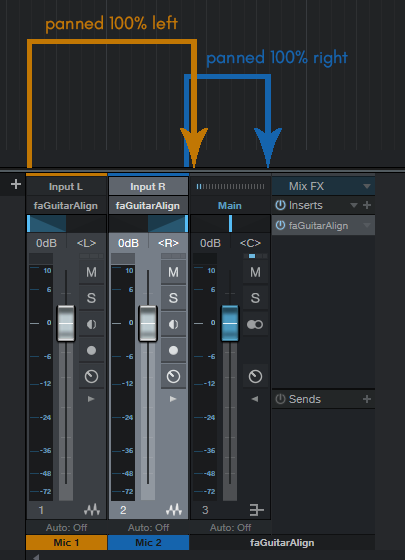 With this cascading principle its possible to use an almost infinite number of input tracks and Plug-in instances. 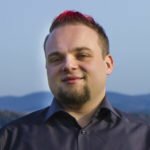 Daniel Seidel is the chief developer of forward audio. He loves to make great music with both analog and awesome digital equipment. He also loves to push the boundaries of modern digital plugins further by creating intelligent solutions that can do more than just immitating vintage gear. And if that's not enough he also likes to share his opinions on audio engineering, therefore he is responsible for the forward audio Youtube channel. faSampleDelay – version 1.0 is coming! Fasten your seatbelts! faTimeAlign is coming!